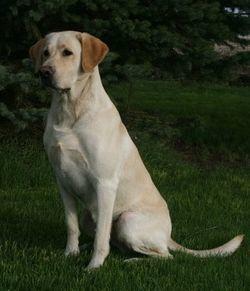 We take a lot of pride in breeding excellent quality Labrador puppies. All dogs in our breeding program will have OFA hip, elbow, eye CERF, EIC/CNM certifications to ensure soundness. As a reputable breeder, we feel that it is our responsibility to take measures to establish outstanding standards for the most popular breed of dog - the Labrador Retriever. Invest your money wisely on a pedigree when selecting your puppy. Determine what quality of pedigree you should look for, depending on your needs. Our puppies' dew claws are removed and all necessary worming and shots are given. At 6 weeks of age, puppies are introduced to fetching pigeon wings and, if weather permits, will be introduced to water. It is very important for the new owners to continue this "play time" to bring out their natural hunting and marking ability. 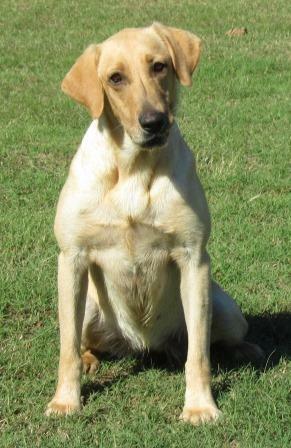 Our puppies are bred for the Hunting Dog and Field Trial enthusiasts. For this reason, professional training for these puppies is highly recommended. Professional training should begin at 5 months of age for gun dog puppies and 12 weeks of age for field trial puppies. Fly's certifications on Dam Page. Finn's certifications in Photo Gallery.